My first encounter with Albert Azaryan and the sports family he created was in 2012. That, of course, didn’t become our only meeting, maybe because I myself was involved in sports for many years. I felt a strange warmth and went through familiar feelings seeing their attitude and devotion to sports. I used to occasionally visit them – now with a camera – trying to know the school and the people better, thanks to whom the school operates for so many years. 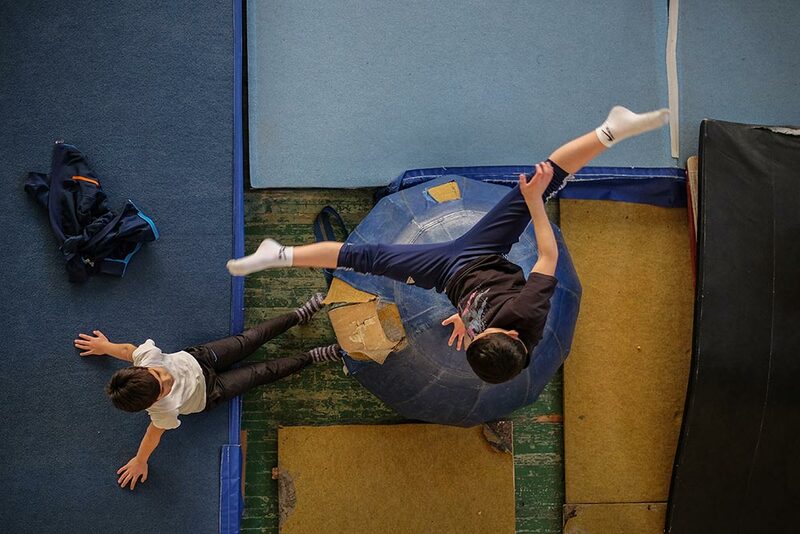 The sports school of the Olympic shift of Yerevan was founded in 1964. 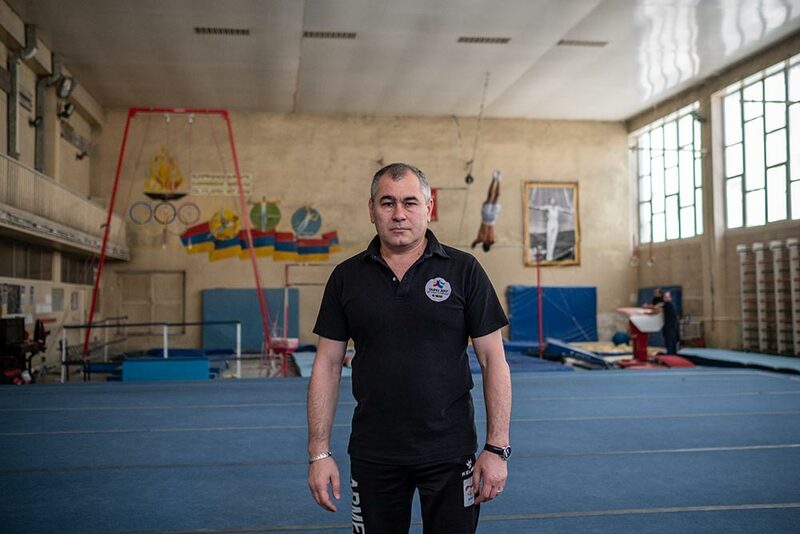 The director of the school is the Olympic triple and World multiple champion Albert Azaryan. 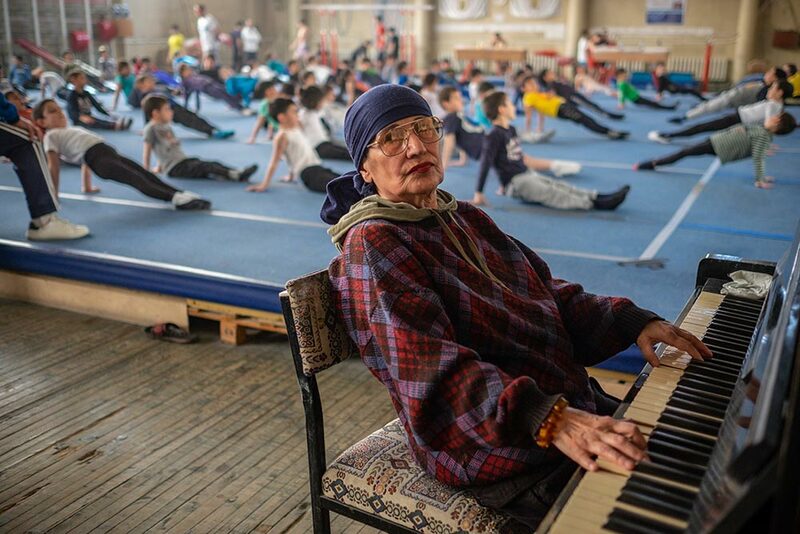 Aleksan Gabrielyan has been working at the school as a trainer since 1976. With one of the students he is following the training of another one. Athletes rest and watch others’ training. The trainer helps to keep the balance while exercising on a parallel bars. The other athlete regulates the breathing and prepares for the next exercise. 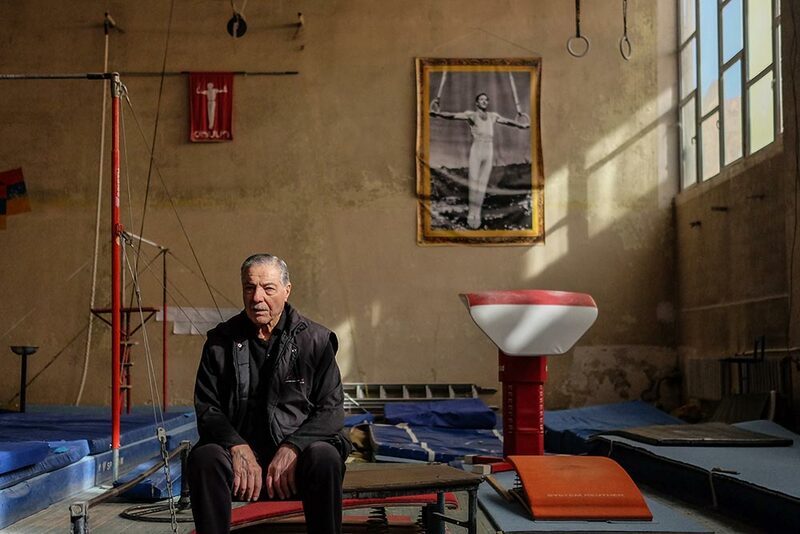 Albert Azaryan, 89, is a triple Olympic Champion and multiple World Champion. 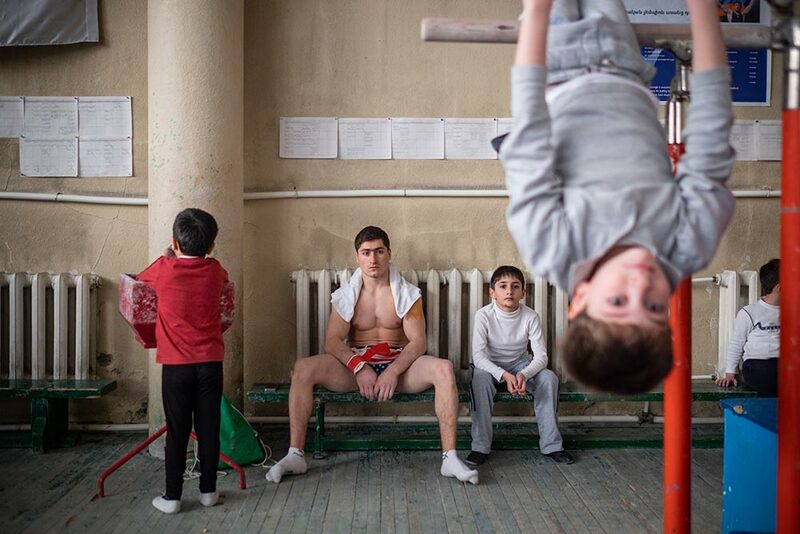 He is the head of the Yerevan School of Gymnastics. 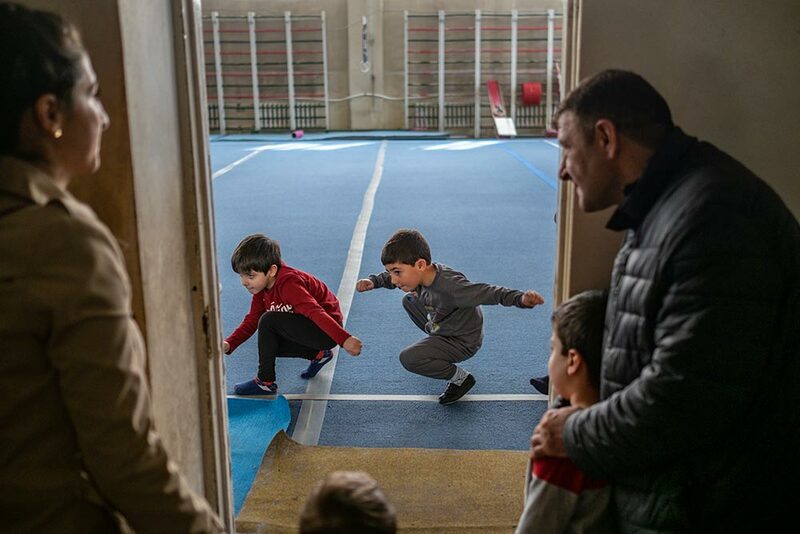 “The trainers have been my students, they have reached to success in their time, they have finished the Institute of Physical Culture and Sport, moved to the sport school… That is why I am their grandfather” says Azaryan with humor. Senior trainer Hakob Serobyan says “I am 49, and for 41 years this has been my second home. 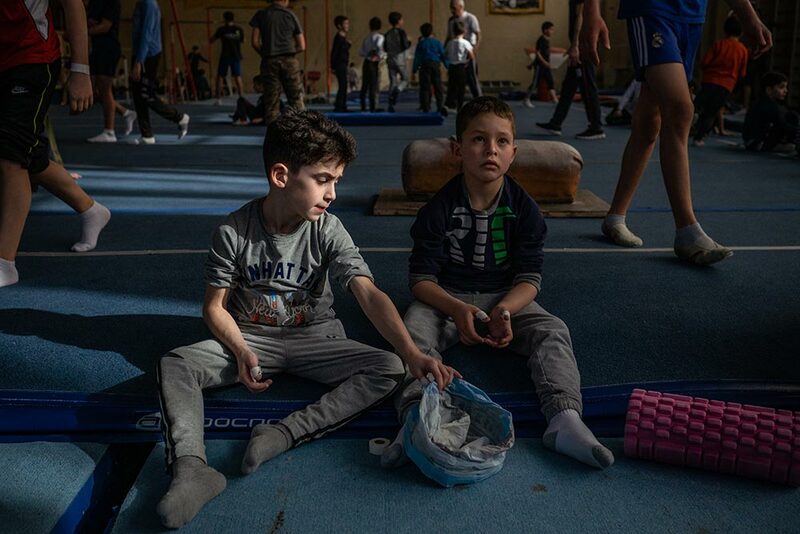 Even if I don’t work here, I will come, visit.” The sport school works like a great, united family, the aim of everyone is one – to record success and come back from competitions with a victory contributing to the honour of the motherland. But from the first steps of the school you can feel the floor cracking and you understand that there is a big problem which hinders the work of both the trainers and the students – the fact of the building being very old. 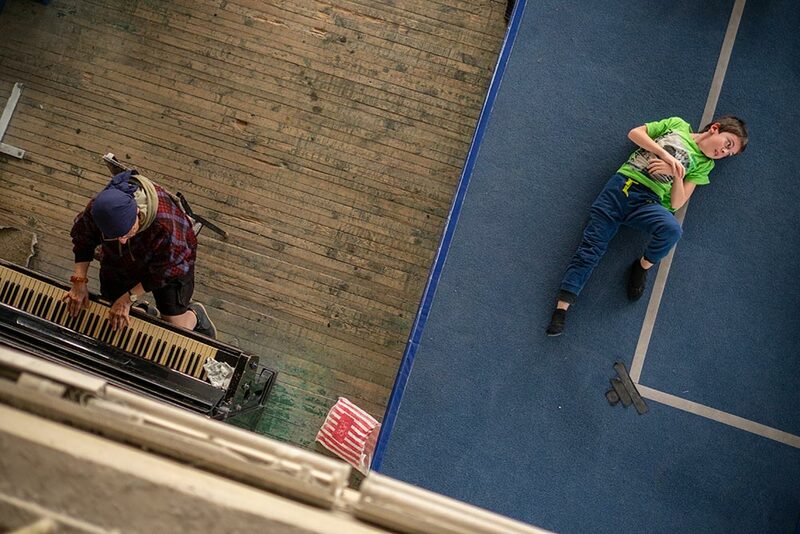 A fragment from training. 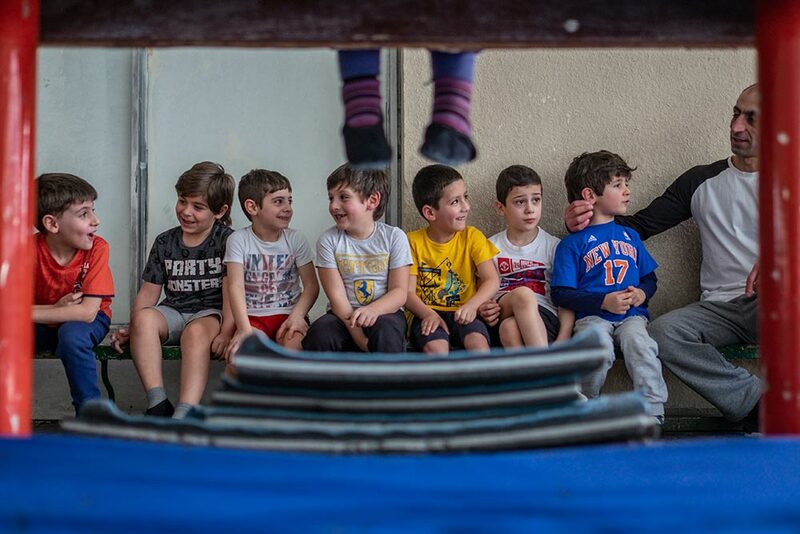 Children are always ready to help each other during the exercises. When the open classes are not enough parents try to follow their child’s training from the checkroom. The warm up is always accompanied with Karine Sargsyan’s musical performance. 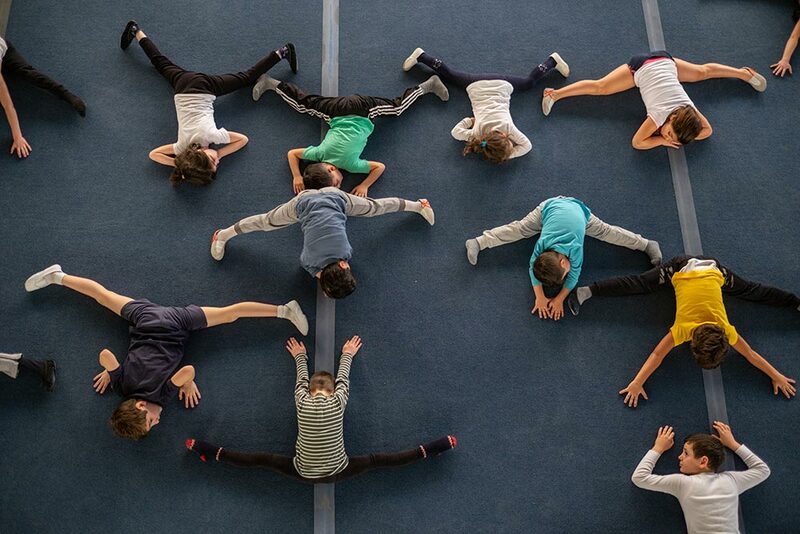 The warm up – a look from above. 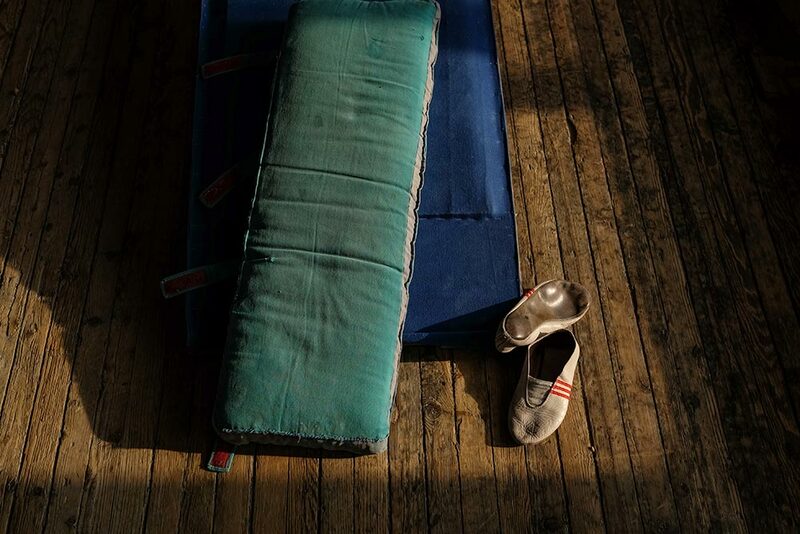 Shabby equipment and sport slippers on the old, wooden floor of the gym. Antique equipments left behind as a legacy from 1968, a rotten floor, which makes training impermissible. 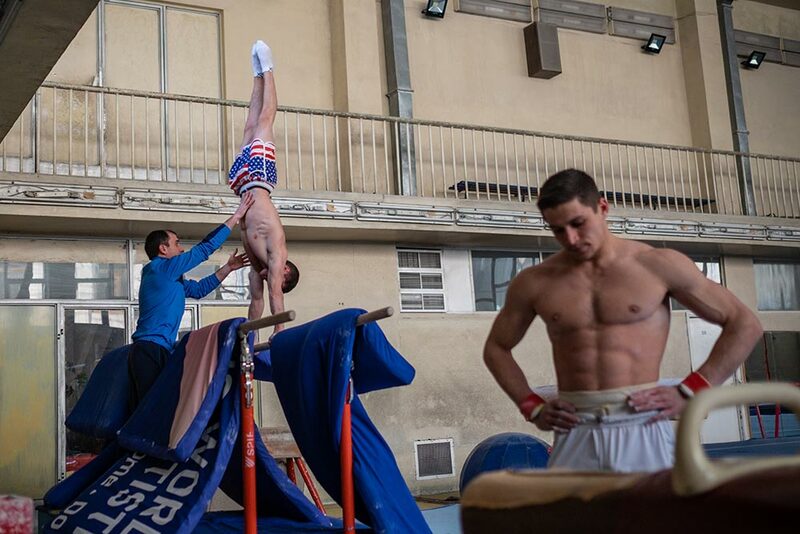 Physical training develops day by day in the world, but our sportsmen train for the Olympics and other international contests with the same equipment, which were used by their coaches 50 years ago. 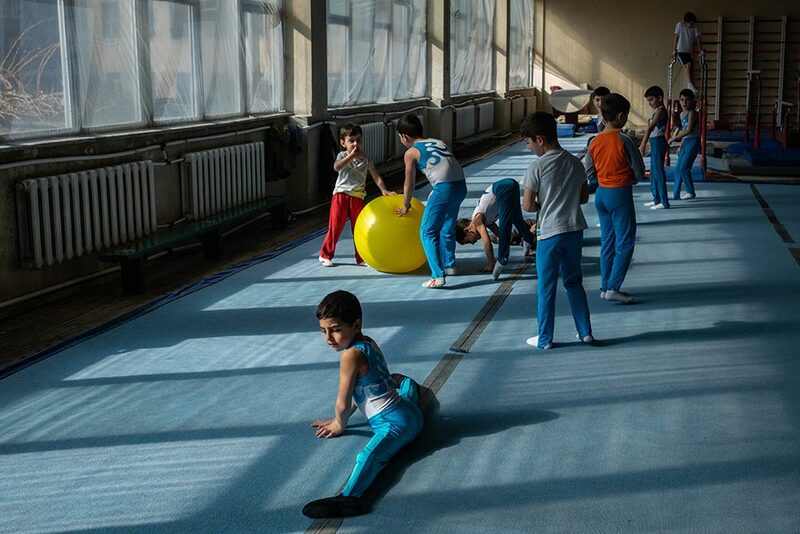 In Soviet years there were 233 training schools in Yerevan, but there are only two now, one of which is the sport school after Azaryan. This is another reason for the school to be renovated and give an opportunity to the students to train in conditions which they deserve. Students at the gym during the training. 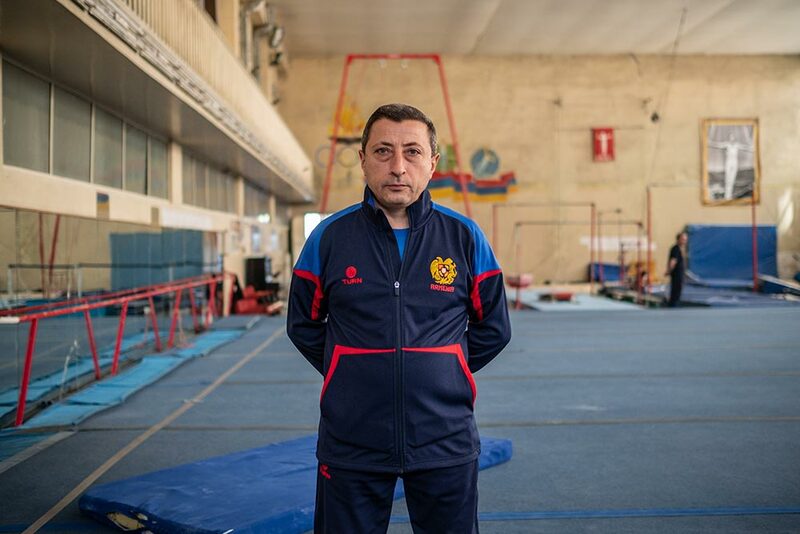 Hakob Serobyan, 49, has been working as a trainer at the sports school since 1989. 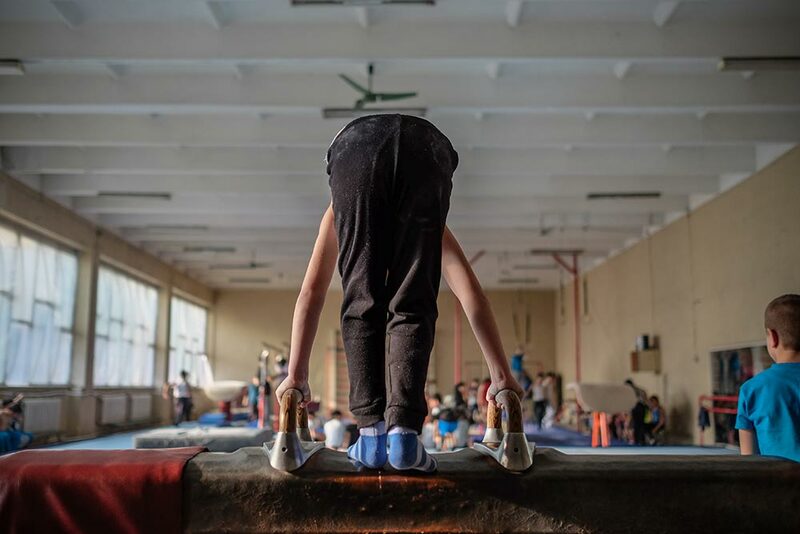 Funny dialogues – while waiting for their turn to exercise on the pommel horse. 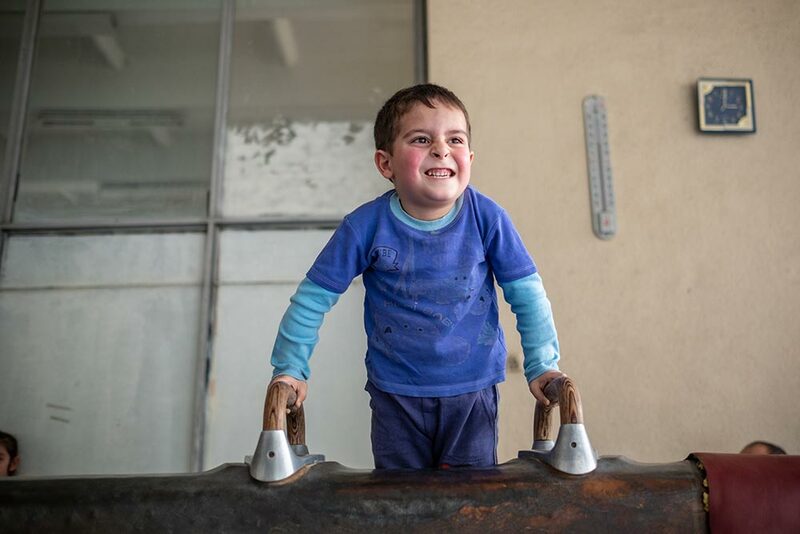 One of the students of the school making exercise on pommel horse. The students rub a special chalk; magnesium carbonate on their hand palms to prevent them from slipping. Sos Sargsyan works as a trainer at the school about 15 years. 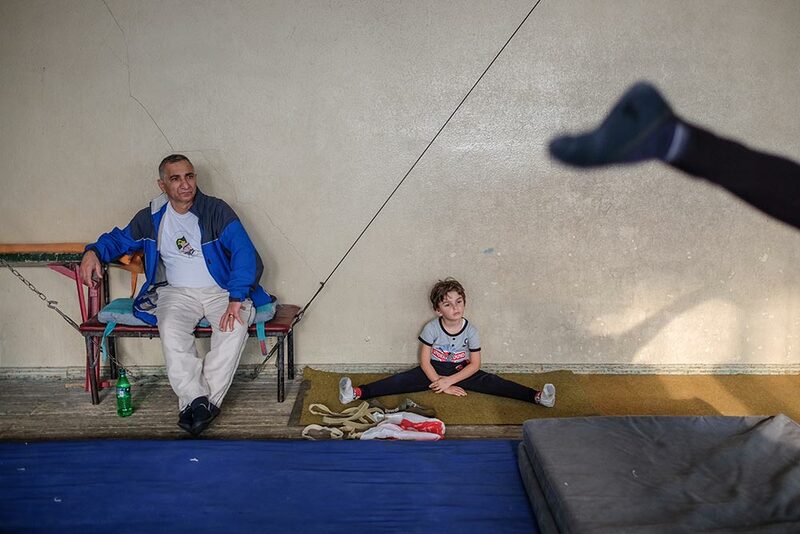 One of the girls attending gymnastic school, performs power exercise. 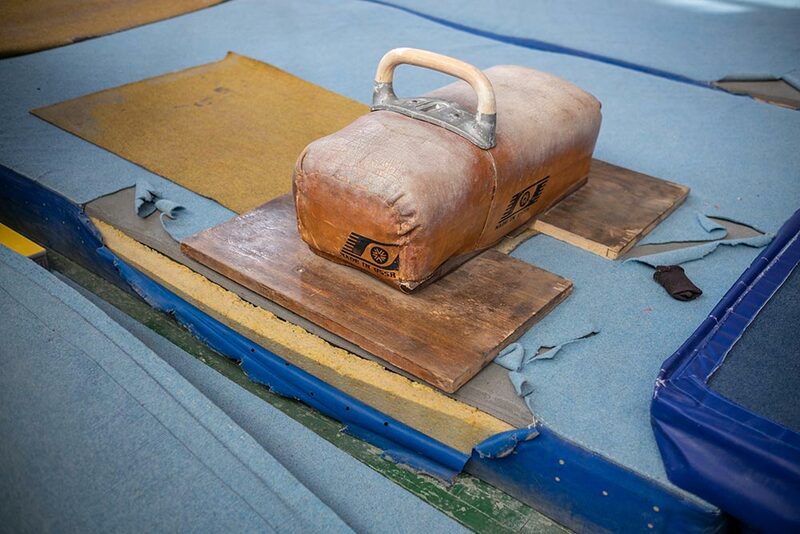 The old gymnasium equipment – goat. 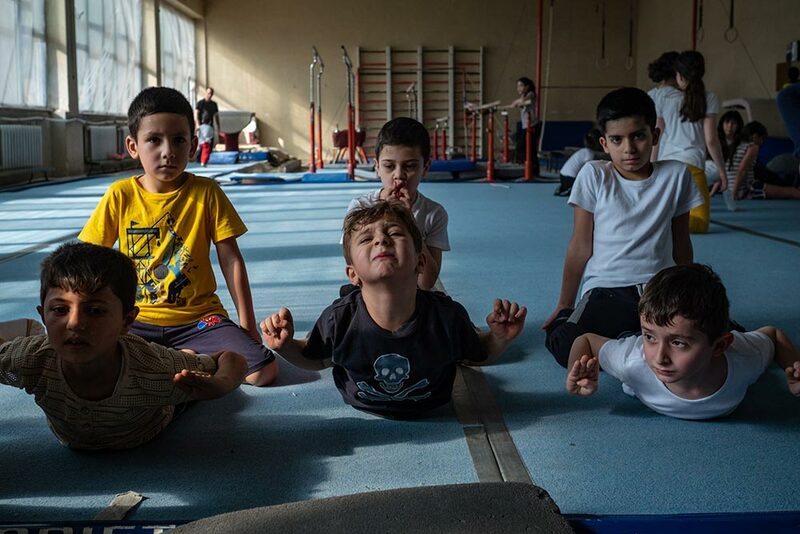 The students exercising on gymnastics equipment mushroom or “gribok” (as they used to call it ). One of the students enjoys a few seconds of rest and music while the trainer has not noticed. Despite all these problems people here show all their strength and enthusiasm, devote themselves to the trainings. They are not used to complaining here, they are all optimists. The school has the most important thing – a great spirit – and deserves the least at least. So that taking a shower does not become a luxury for the students, so that the team has a doctor and doesn’t go to see doctors in other countries, so that there is a new and comfortable hall with a normal floor, where the trainers will continue to bring up new champions.